Christmas card. 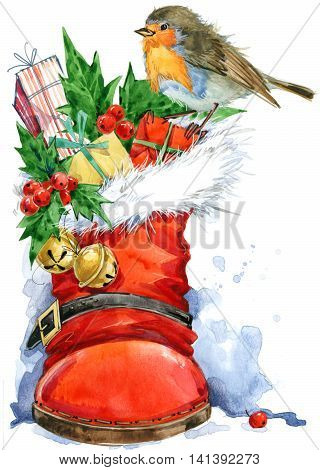 Christmas bird watercolor with boot and gifts. New Year watercolor background.